Attention RiversEdge West Members! 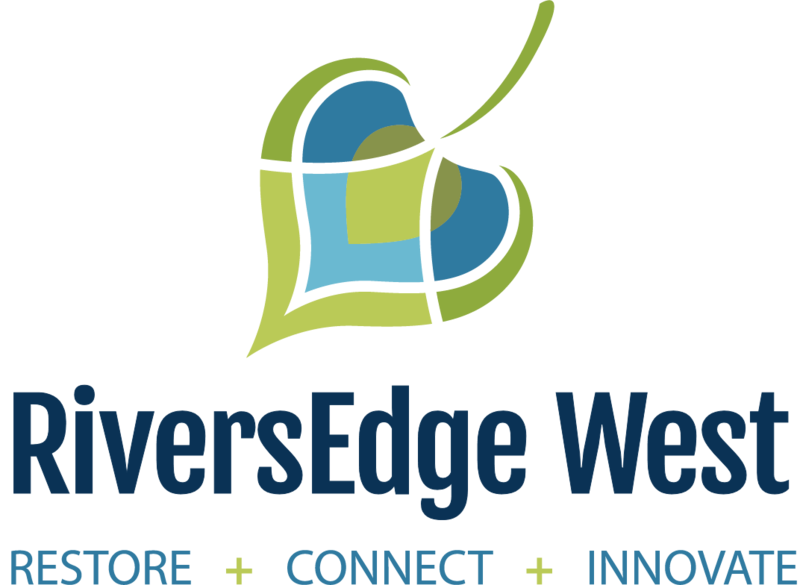 You must log in to your RiversEdge West account in order to view the membership pricing. Please give us a call at 970.256.7400 if you have any questions. 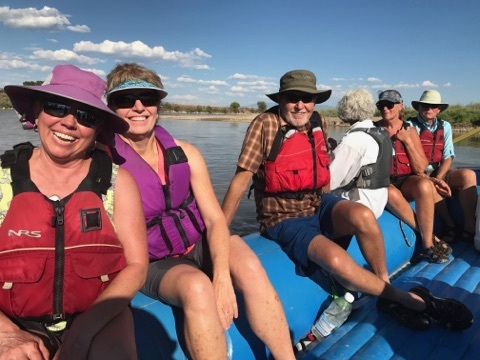 We typically spend about 2 hours on the water and stop on the riverbank along the way to hear from guest speakers, as pictured below. 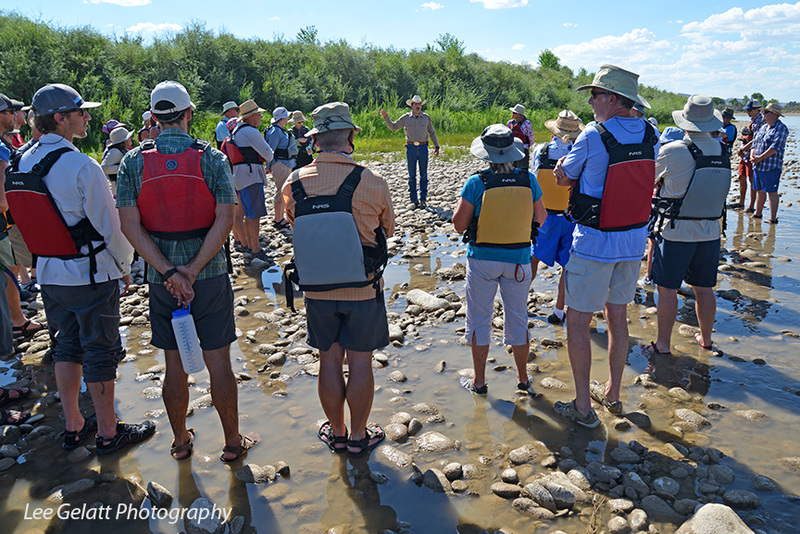 You'll have plenty of opportunities to talk with local river experts and explore past, current, and future riverside restoration sites and reclaimed wildlife areas. 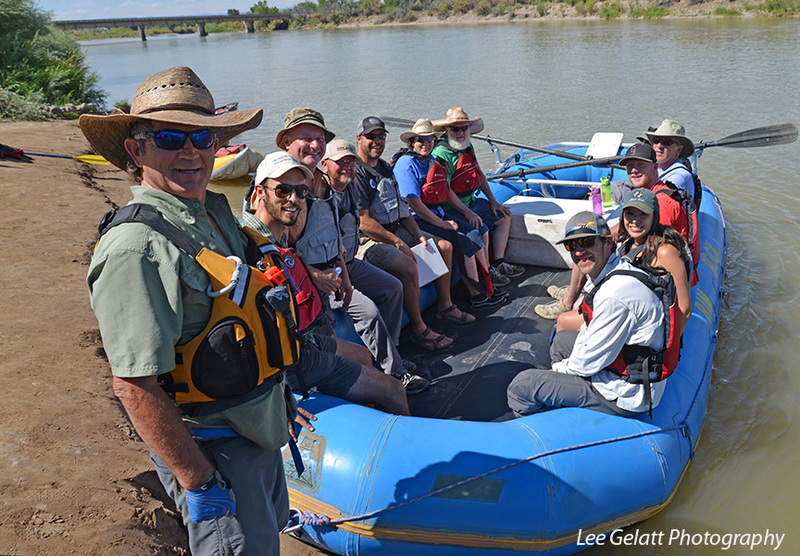 Discussions may also include the tamarisk beetle, endangered fish, and working with and engaging youth in river restoration. After spending time on the river we will hop on a shuttle back to where we started at Rimrock Adventures for dinner, drinks, wine, beer, live music, and prizes. 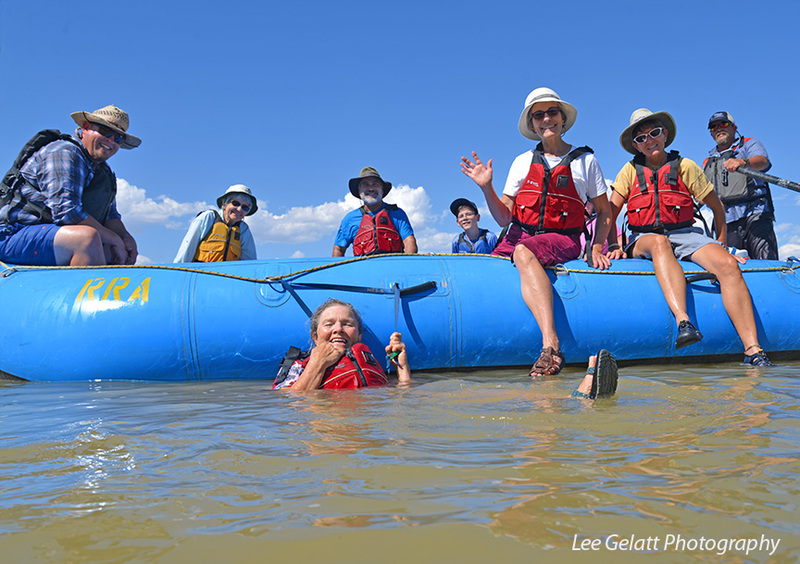 We provide everything you need for this guided float: Rimrock Adventure-raft guides, river snacks, river experts, shuttles back to your vehicle, dinner, and drinks; all you need to do is sign up and join us for this beautiful day on the water! The cost is $85 for non-members, $72 for members. Seats are limited, reserve your space today! Registration will close on August 15, 2019. Not a RiversEdge West member but want to take advantage of the member discount and support healthier rivers? Become a RiversEdge West member, starting at $60, here. 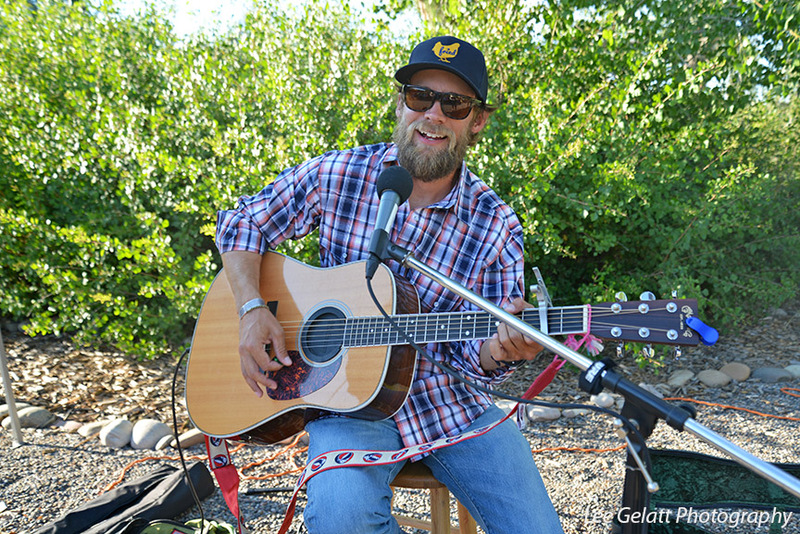 All proceeds go to RiversEdge West's programs that are restoring rivers to a healthier, more vibrant state. Footwear: The most common injuries during river activities are foot injuries, so protect your feet with secure footwear. Sharp rocks and occasional broken glass are potential hazards both along the riverbanks and the riverbed itself. 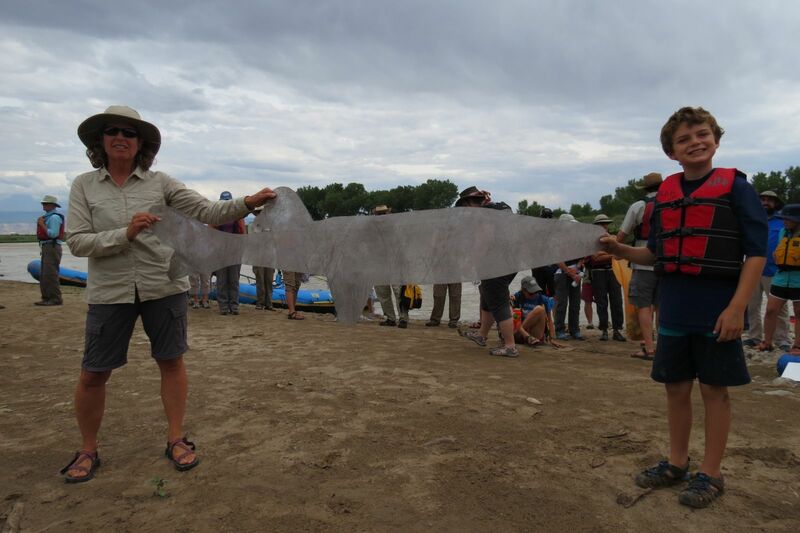 As there's plenty of mud along the Colorado's riverbanks, choose footwear that can be thoroughly cleaned or hosed off following your trip. Water shoes, strap-on river sandals or old sneakers are all good choices. Bare feet and flip-flops are not acceptable. 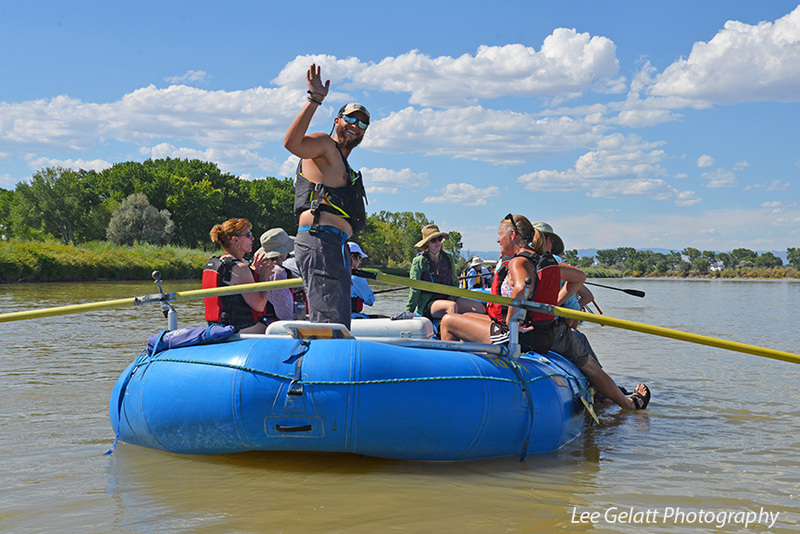 If you are interested in becoming a Raft the River sponsor, please email Cara at ckukuraitis@riversedgewest.org.